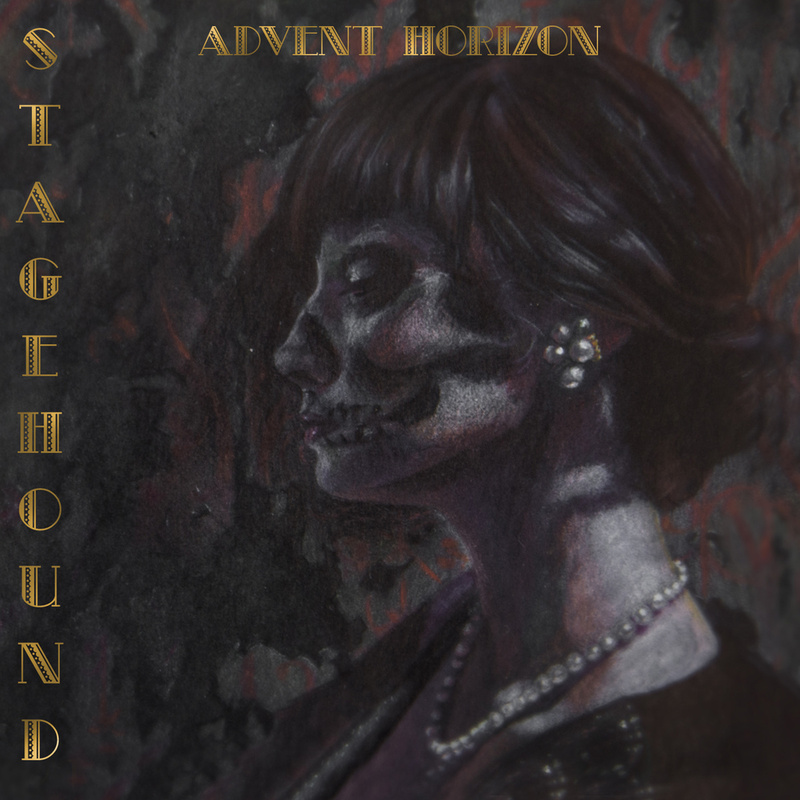 Advent Horizon from Salt Lake City released their second album titled “Stagehound” in May this year. Guitarist and singer Rylee McDonald talks in an interview for Progarchy about the album, prog rock today, Rush and more. Read on! Let’s talk about your newly released studio offering “Stagehound.” My opinion about the album is that it’s a tribute to the sound that’s been forgotten. How much of a challenge it was for you to create this work? Every member of Advent Horizon developed a love for the classics years before we discovered new music. Therefore, our roots lie in music that was written much before our time. Because of this, our writing style automatically has a bit of a vintage flare to it. Stagehound is a product of our roots, combined with the modern influences that we have picked up along the way. Is there a certain concept that “Stagehound” follows? Stagehound is not a concept album, but there are pieces of it that follow a storyline. Tracks 8,9 and 10 tell a story based on the Greek Myth of Orpheus and Eurdice, which we have called “The Stagehound and Serpentine Suite”. As for the rest of the album, there do seem to be common themes that pop up. One that comes to mind is how easily the course of our lives are altered by seemingly insignificant events. It’s always been very interesting to me to think about how easily my life could have taken a totally different path. Describe how the album art for “Stagehound” fits the story of the album? The album artwork for Stagehound was designed to go along with the “Stagehound and Serpentine suite”. The character in the picture is “Sally”, a main character, whose beauty is overshadowed by the unfortunate events that ultimately lead to her demise. Where does “Stagehound” stand comparing with “Immured”? There are many key factors that set Stagehound and Immured apart. Immured was written by Mike and Rylee between the age of 15 and 19. 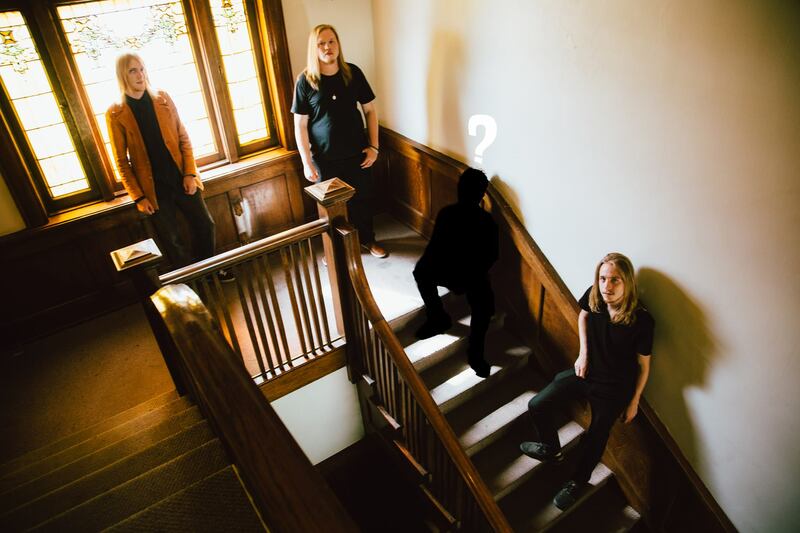 At the time that the album was recorded, Advent did not have a bass player, so all of the bass parts, guitar parts and Vocal parts were played by Rylee. For Stagehound, we made a big effort towards collaboration. 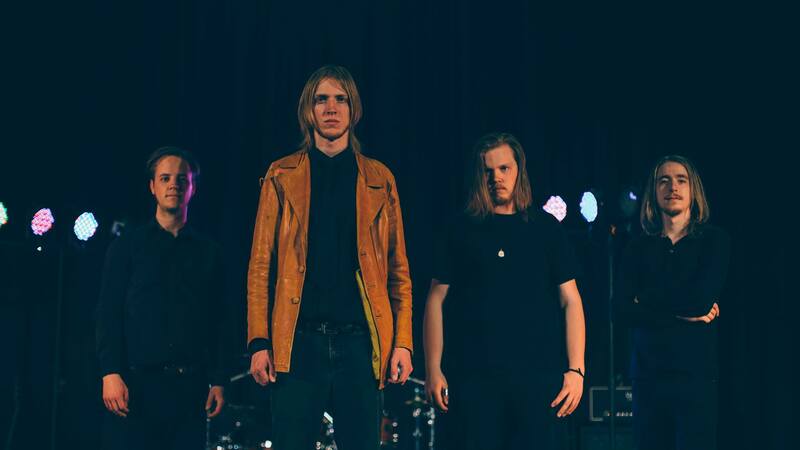 While the framework for the songs was created by Rylee, the rest of the band had a large influence on the direction that each song took. Because of this, Stagehound explores many genres, and sounds, while Immured keeps to one style throughout. One other key difference is the use of Keys. For Immured, we used lots of Synthesizers, Pianos, Organs, and string sounds to create an atmosphere for the album. With Stagehound, we set out from the beginning with a goal to write an entire album without using a single keyboard. Instead, we relied upon guitars to fill in all those extra spaces. The album ended up using an almost Devin Townsend-esque “Wall of guitars” sound. This makes it much more intense, energetic, and loud. What does the new album’s name represent? “Stagehound” is the main character in the “Stagehound and Serpentine suite”. He was a musician during the great depression in New Orleans. He is known as being “The one who speaks for the masses”. The poor and underprivileged related to him, and word spread like wildfire of his talents. When you describe your music you mention that your sound is a mixture of classic and modern progressive rock. Would you be able to draw a line that separates the classic from contemporary progressive music in your sound? This is a thought provoking question. I guess the vocals are a big part of what give our music a classic sound. Some of my biggest influences in writing vocal lines are Yes, Styx, Boston, Tears for Fears, and Early U2. I have always loved how good those bands were at creating vocal parts that were very rhythmically involved, and interacted with the drums a lot. I think that Mike’s drumming is a big part of what gives the modern edge to our music. Mike has been Heavily influenced by Danny Carey of Tool, Martin Axenrot of Opeth, Mike Portnoy of Dream Theater, and Gavin Harrison of Porcupine Tree. All of these influences work together to craft his very unique style. Some of the songs on Stagehound are obviously more classic rock leaning than others. “Dying Blue”, “Magic Chef” and “Oceans” to name a few. While “Invasion Theorem” and “Midweek Maniac” are much more modern by design. Those songs were influenced by my love of what I call “Modern Pop Prog”. Bands like “Coheed and Cambria”, “Mutemath” and “Devin Townsend” fall into that category. You showed your admiration towards Rush on quite a few occasions. Which era of the band in particular inspired Advent Horizon mostly? I am a total Rush Nerd in every way. Everything they have ever released has been a huge influence on me. Mike and I spent the first 2 years of our musical lives learning every Rush song that we could wrap our heads around. Because of that, it’s very difficult to put a finger on any particular era of their music that inspired me more than any other. But If I had to pick one, I would probably say their “Classic Prog” Era, which is my term for the albums 2112, Farewell to Kings, Hemishpheres and Permanent Waves. To me, Permanent Waves was the album that had the best proportions of Proggy music to Catchy, accessible music. Plus, Geddy’s voice on that album is Incredible! How do you look at the prog rock scene today? The Prog Rock Scene today is very exciting to me. The last 10 years has really seen a huge increase in the worlds interest in Prog. So many great bands have been popping up all over the place! Haken, Riverside, Pain of Salvation, Jolly, Spocks Beard just to name a few. There are a few small Prog record labels that I think have done wonders for the genre lately. Namely ‘Inside Out’ and ‘KScope’. Both have been doing a great job of bringing our overlooked genre back to the world! As a band that cherish vintage over modern, do you think that Internet, software and technology in general are hurting the real music/art? Well, this is a double edged sword. I think that the digital age has done wonders for the music world. 30 years ago, without a record label, Advent Horizon would have never been able to get our music heard by people around the world. But now thanks to social media and online music stores, we have been heard by people thousands of miles away. It really is incredible to think that people in places I have never even heard of are listening to my music! However, in my opinion, the biggest problem with the digital age is The Devaluation of music. Most people no longer think of music as a product, or even an art form. Services like Spotify, Pandora, Google Play and Apple music have turned music into a method of generating ad revenue. They have given free access to anything anyone could ever want to hear, so music no longer has any worth to the general public. When you tell someone you’ve just released a new album, their first response is usually “Oh cool! I’ll check it out on Spotify”. If they think theyre “supporting your music” by doing that, they’re cheating themselves. My general rule of thumb is: If you’re ever offered anything for free online, YOU are the product. I could go on and on about this, but I won’t. The reality of it is that this is the future. Now that people have been given unlimited music for free, they’re never going to go back to purchasing albums. This is a fact that we as musicians have to be able to cope with. Luckily, in our little world of Prog Rock, many people still value music enough to purchase CD’s. Long live prog! On August 20 you played a show together with The Mercury Tree. What does an Advent Horizon concert look like? Our music appeals to many different demographics of people. It’s always a blast to look out at our audiences and see Older couples, college kids, parents taking their youngsters to their first rock show, and other Musicians. This mixture of people makes for a very friendly environment. A place where people who normally wouldn’t meet to come together through music. There’s something really cool about that. As for our stage show, our music goes from high energy Rock, to soft acoustic, to jazz, to funk. And with all these changes, our interaction with the music also changes. We will go from headbanging, to skipping across the stage, to sitting still staring intently at our fretboards. We also have a lot of fun messing with each other on stage. Theres a constant playful banter between band members as we’re playing that gives the audience something to chuckle at. We try to make our live shows a fun experience for all. Get “Stagehound” from Bandcamp, and follow the band on Facebook.